Philosophy meets whimsy in this touching collection of charmingly illustrated verse. Poems on such varied topics as God, Man, Seasons and New York City will tickle your adult mind while calling forth the child within you, all at the same time. 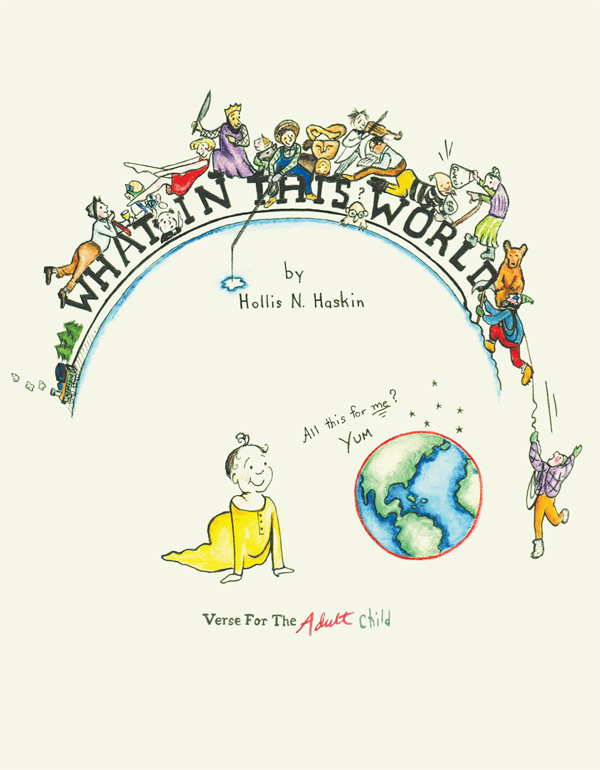 Hollis N Haskin, a member of the Dramatist’s Guild, is a playwright, illustrator and poet. As Holley Egloff she has written over twenty plays staged in New York City and theaters around the nation. A late-comer to authorship she raised five children before writing her first full length comedy “312 Sycamore” in 1997. She wrote poems throughout her life the result of which is this, her first published book of poetry. She works out of her home in rural Southeastern Connecticut.